RE/MAX agents are the most productive in the industry and deliver the real estate knowledge and service people need in The Quad Cities. 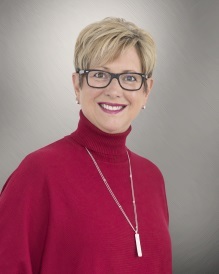 Let Debra help you with your real estate needs in the The Quad Cities area. Bought a Single Family home in 2016 for approximately $325K in Davenport, IA. Debbie went the extra mile for my wife and I. We made an offer on our home and when the owner made a counter offer and another family was interested in the property Debbie came to my rental home at 8:30PM to ensure I received the latest news. We ended up getting the home and were extremely happy with the level of service Debbie provided. Sold a Single Family home in 2016 for approximately $150K in Davenport, IA. I told Debbie what I was looking for and the first day we looked I bought my house. It was exactly what I asked for. Ten yrs later I called Debbie and listed my house with her. It sold in 12 days. I don't think I need to say any more. Bought and sold a Other home in 2014 in Davenport, IA. A realtor in Kansas connected us to Debbie when we moved to Davenport. She guided us through the process of building a house. In addition, she listed our home four years later. She stood by us through the closing of our home. Sold a Single Family home in 2012 in Bettendorf, IA. We were out of state for the winter when we decided to list our home with Debbie Barnhart and ReMax. She not only readied our home to show but removed all the plastic we had covering our windows while we were gone for the winter. She cleaned toilets and shoveled snow so potential buyers could get in and out. She also sold our home in three short weeks. She handled our closing as well with a "Power of Attorney". She was not only very professional but went above and beyond. She is by far the best realtor we have ever worked with. Bought and sold a home in 2016 in Pleasant Valley, Bettendorf, IA 52722. Debbie is a fun and delightful person to work with in looking at possible home choices. She knows the local market well and is very helpful in pointing out things that a buyer may not be aware of. She is also very thorough with inspections and other details in purchasing or selling a property. I have bought and sold many properties with Debbie, and it is always a pleasure. Bought and sold a Single Family home in 2016 for approximately $275K in Davenport, IA. Debbie did a wonderful job navigating my family through the home buying and selling process. If you're looking for a realtor with a wealth of knowledge and experience then Debbie is for you. Bought a Single Family home in 2010 for approximately $300K in Davenport, IA. Debbiie is an awesome resource and realtor. We worked with Debbie to sell one property and buy another and we will work with her again when it's time to move. We felt that we were her top priority and recommend her at the highest level. Bought and sold a Single Family home in 2014 for approximately $125K in Davenport, IA. Debbie has sold and purchased a home for me (two sep transactions) and both times were an awesomely painless experience! She took the time to understand my situation and my needs and walked me through selling and buying process with sincere professionalism. I highly recommend Debbie! Bought a Single Family home in 2015 for approximately $150K in Bettendorf, IA. Debbie walked us through the whole process and made it fun. She is extremely knowledgeable and I would recommend her to anyone looking to buy or sell a home. Bought a Condo home in 2016 for approximately $175K in Davenport, IA. We couldn't have found our beautiful new home without her! She was great! Debbie always took the time to go look at the homes we picked out and when we found the one we liked, she helped us to seal the deal. We would never have been able to put in the right offer without her knowledge and expertise.